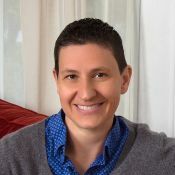 Professor Buzuvis researches and writes about gender and discrimination in education and athletics, including such topics as Title IX's application to campus disciplinary proceedings for sexual assault, Title IX and college athletics reform, intersecting sexual orientation and race discrimination in collegiate women's athletics, retaliation and related discrimination against female college coaches, and participation policies for transgender and intersex athletes. Additionally, she is a co-founder and contributor to the Title IX Blog, an interdisciplinary resource for news, legal developments, commentary, and scholarship about Title IX's application to athletics and education. She has been quoted in stories about Title IX in such media outlets as the New York Times, NPR, Sports Illustrated, Inside Higher Ed, and in many other national and local publications and broadcasts. Professor Buzuvis teaches courses at the law school on administrative law, employment discrimination, Title IX, torts, and property. In addition, she teaches a course on LGBTQ policy issues at the Smith College School for Social Work, and in 2017 she co-taught a course on gender, human rights and sport at Utrecht University in the Netherlands on a grant from the Fulbright Specialist Program. She also currently serves as the Director of the law school's Center for Gender & Sexuality Studies. Erin Buzuvis, Where All Kids Can Compete, CONTEXTS, Summer 2017, at 17. Erin Buzuvis, Religious Exemption Requests Push Back Against LGBT Rights, Modern Ideas, TITLE IX TODAY, Mar. 2016, at 1.